The R-F-T AK-47 MkII began as a unique design to incorporate key elements of classic circuits such as the U47 and M49. These design decisions created a vacuum tube based microphone with a wonderfully rich and warm low-mid frequency response ideal for vocals, bass (acoustic and electric), brass instruments, and drums. With these applications in mind, TELEFUNKEN Elektroakustik has developed the AK-47 MkII Stereo Set. 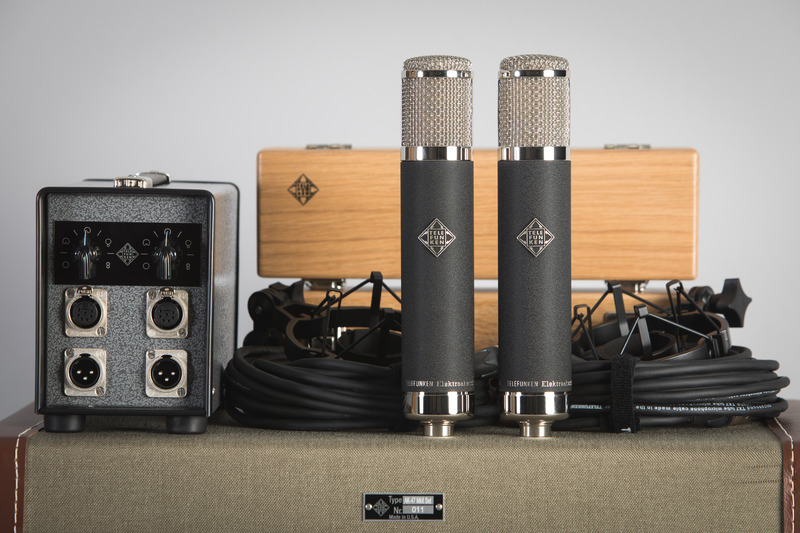 The matched Stereo Set comes in a custom locking flight case that carries both cables, shock mounts, microphones, wooden boxes, and an American-made dual-channel power supply unit. Sonically, the AK-47 MkII is a remarkably hi-fidelity microphone with a present but not harsh character, a forward mid-range, and a detailed low end response. 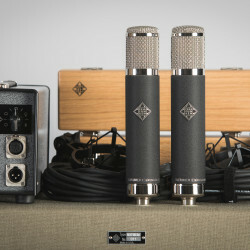 Designed to take the punch of the heavy sound pressure level of a guitar amp or kick drum, this fantastic tube mic provides a uniquely warm tone, while preserving the detail on an array of signal sources including vocals, string instruments, percussion or horns. Stereo recording techniques include X/Y coincidental pairs with the microphones in cardioid, A/B spaced pairs with either cardioid or omni-directional patterns, and also a Blumlein pair, with each microphone in a figure-8 polar pattern.